JUST LOOK AT the lovely gift I received from at good friend yesterday! Can´t wait to hang the wall plaque-pieces together with the rest of my orange-collection. 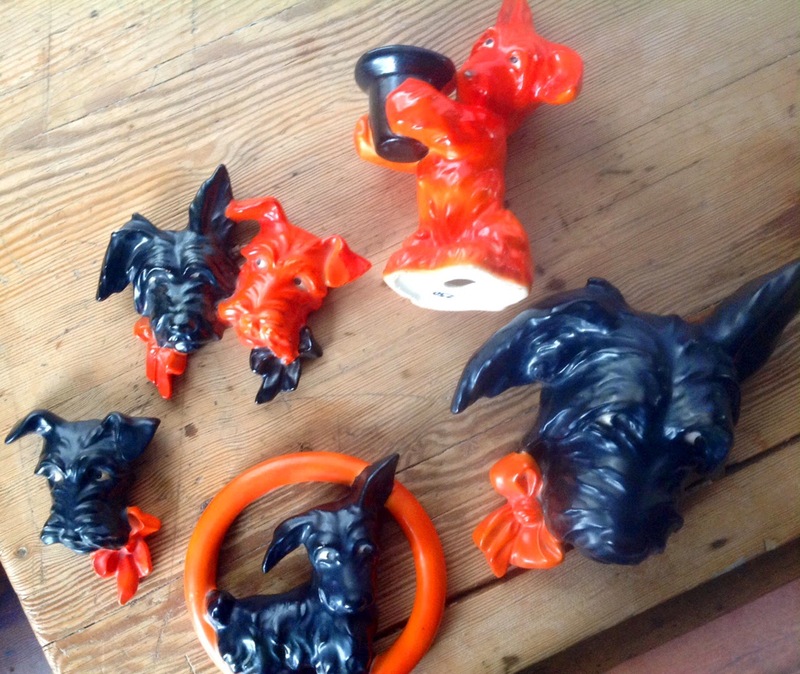 Some of these pieces must be quite rare - I´m so happy - and feel so fortunate: To have such a good Scottie-friend!